Searching for a fast and affordable way to enhance the interior of your home? Tile is considered one of the oldest and most resilient materials for floors and walls. It’s attractive design and long life make it a solid investment for any home in Lindon UT 84042. Tile flooring offers clean, minimalist designs with an array of options for scratch, water and wear resistance. With tile flooring from SLC Flooring, you can add a new, durable surface to your home that perfectly matches your style. From sleek and modern, to rich and classic, we offer a wide variety of floor tiles that you will love. We are a full service flooring installation contractor in Lindon serving residential & commercial customers throughout the county. We are locally owned and run and fully insured. We provide the greatest quality tile flooring services. We always listen carefully to your issues and only deliver sincere and reasonable answers. We concentrate on providing premier craftsmanship utilizing only the best materials, to guarantee our customers’ total satisfaction. Our tile installation pros care a lot about building long-term relationships with our clients. SLC Flooring combines years of training with dedication to make sure that the product you want is the one that you acquire. We encourage that you take a look at all the services we provide and discover why we are the best option for tile flooring services in Lindon and nearby areas. Our primary objective is to make certain our clients are satisified. We believe in quality work and won’t compromise on the end product to improve revenue. 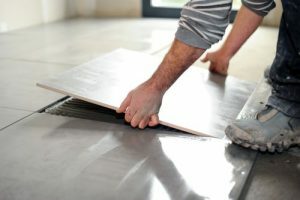 We have one of the best reputations in the region so you can be sure your project will get done the first time properly. Call us now at 801-515-0047 for a free estimate.